Every classroom had wet carpeting, most of the drywall was soaked, and it smelled like a pack of wet dogs had been camping out in the church basement. It was Friday night, the basement had flooded, and I began to go over a mental checklist of who to call and how to manage this situation. I had literally just returned from a conference in Indianapolis hosted by the Lilly Foundation, called the National Initiative to Address Economic Challenges Facing Pastoral Leaders. It was a satellite view of financial challenges in the American church, and I quickly came down from the high view of everything to the basement level reality of it all. As pastors we are responsible for the financial health of large institutions, and that responsibility usually goes far beyond what they taught us in seminary. The wet basement was an all-too-real reminder of that for me. And the cruel reality is that the last thing pastors and congregations want to talk about is money. It didn’t take much to convince me that there was a real problem to address and some decent ways to start addressing it. But it quickly became clear that there were some common barriers that kept pastors and churches in an unhealthy cycle. Ambivalence: A common theme among pastors studied was the idea that someone else should take care of the finances of the church. Many prefered to focus on theology, study, preaching (but not about money), and the like. Pastors in general are not engaging in setting the budget and helping the church to operate in a financially faithful and healthy way. Who’s Problem Is It? 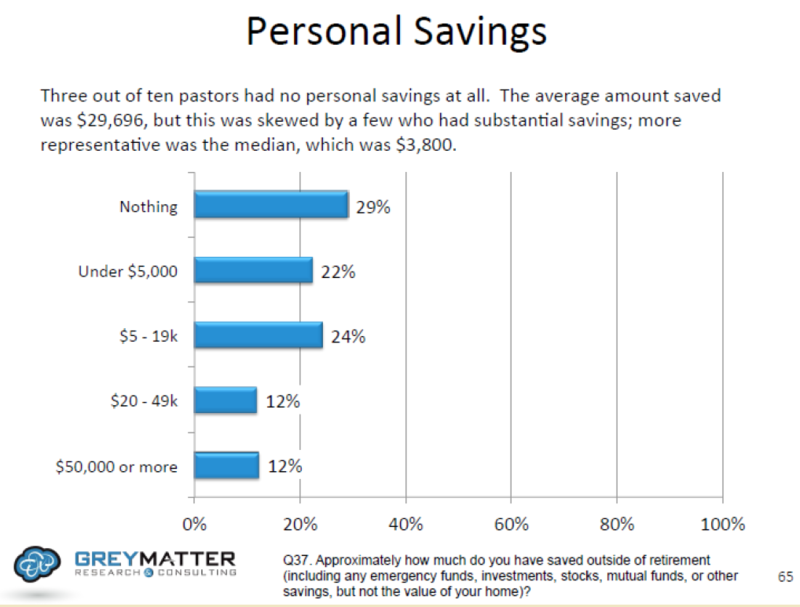 To sum up the problem: Many pastors are not financially literate in personal finances and especially institutional finances. They’re often deeply in debt from undergrad, seminary, and credit card debt. Compensation from their church doesn’t cover their expenses, and they don’t know how to talk about that with each other. Is the pastor to blame, the church, the denomination or seminary? The answer of course is all of the above. This is an ecology of financial responsibility and the way to begin to address it is to develop a holistic theology of money at each level. Emerging Solutions: There isn’t a perfect approach to this complex problem, but some key solutions are beginning to emerge. 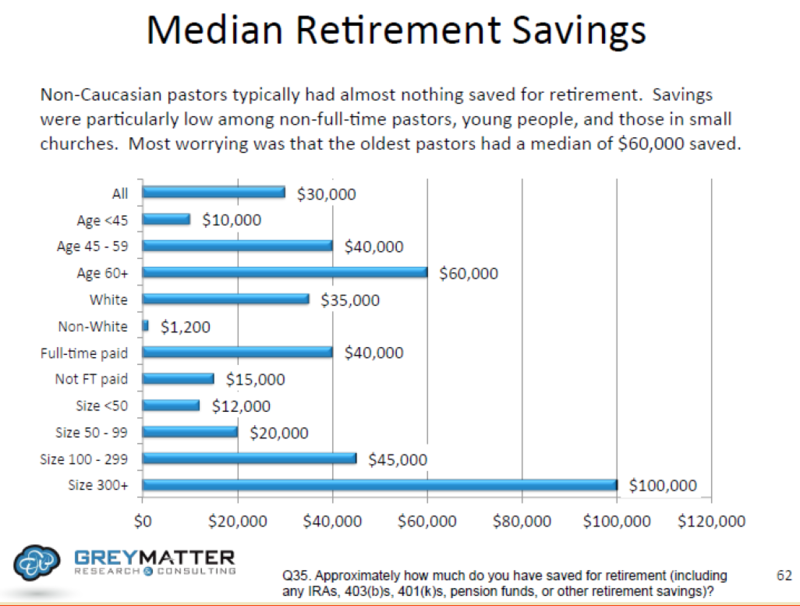 Financial Literacy: From personal budgeting to institutional finance, pastors who have more education in finances are able to get out of crisis-mode and lead more effectively. Well-Being: Eliminating debt and seeking appropriate compensation naturally results in pastors who experience more joy in their daily work, and are significantly more healthy in all pastoral functions. Cultivating Congregations of Generosity: When congregations are able to make the shift from the code of silence and the feeling of shame about money, and move to a place where generosity is the lifeblood of the church, ministry can be done more freely with less constraint. At the denominational level we are working at this ecology of financial health from a number of different angles. We’re trying to educate seminary students about money in new ways. We’re developing a Ministerial Excellence Fund, which with the help of the Lilly Foundation, will seek to assist ministers in various financial struggles, including student debt, sudden crises, and other needs. We’re forming learning communities for churches to develop cultures of generosity and joyful giving. It’s messy work and not something that most people are overjoyed to start talking about, but the health and effectiveness for both our pastors and churches is at stake. How is money viewed in your congregation? Is it time for a change? 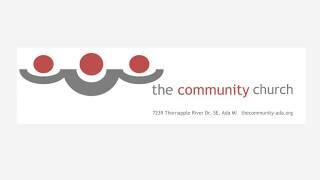 Billy Norden, Pastor at The Community church in Ada, Michigan.